Rotating/ Fixed wings, color-coded & facilitate flipping of needle while introducing for easy gripping and fixation. 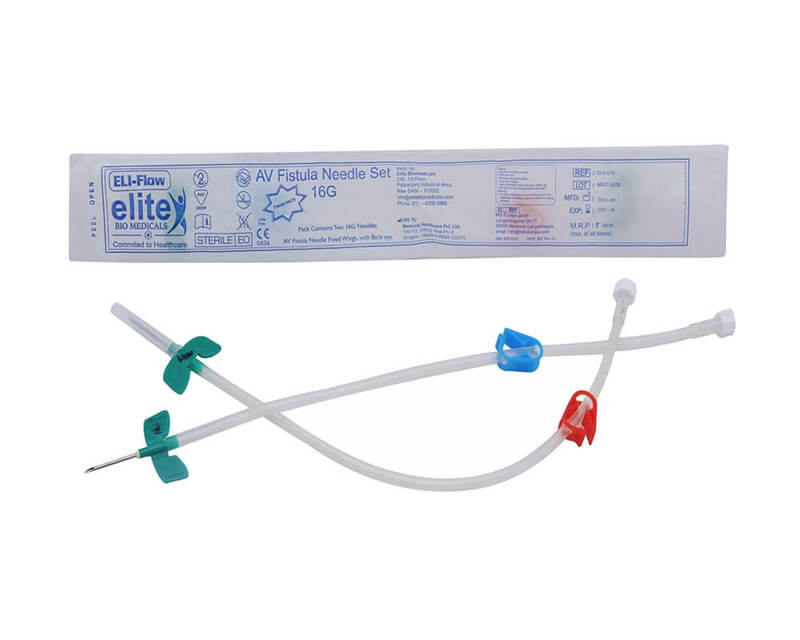 Used to connect blood line to the blood vessel through needle when dialysis is carried out via an internal fistula. Needle with Back Eye to reduce interruption in Blood flow.